November 18, 2016, 11:39 PM · It's not necessary to buy a Strad to have a very fine instrument these days, with the art of violin making at such a high level. 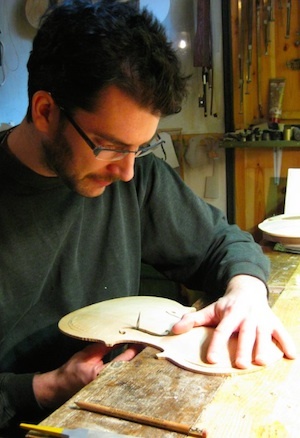 If you are curious about who the best contemporary instrument and bow makers are, here is a good starting point: the winners of the Violin Society of America's 22nd International Violin and Bow Making Competition, announced on Friday in Cleveland. 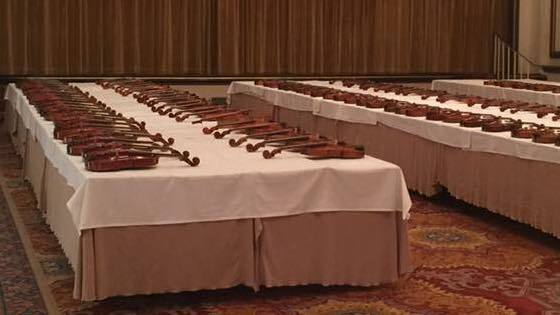 Top makers of strings instruments and bows came from all over the world to Cleveland for the Violin Society of America convention this week, and the competition is just one part of it. Here are the winning luthiers and bowmakers in the violin and viola categories, chosen from hundreds of entries. Wherever possible, I've provided the link in case you wish to learn more about any of these makers. For winners in other categories, including cello, bass and quartet, please see this page. Workmanship judges for instruments included Robert Cauer, Amos Hargrave, Wendela Moes, Jeff Phillips, Kelvin Scott and Paul Wiessmeyer; workmanship judges for bows were Noel Burke, Rodney Mohr and Robert Morrow. Tone judges for violin were Annie Fullard, Elmar Oliveira and Mari Sato; for viola were Lisa Boyko, Richard Waugh and Eric Wong; for cello were Ralph Curry, Jia Kim and Thomas Mansbacher; and for bass were Mark Atherton, Scott Haigh, Henry Peyrebrune. Quartet judges were the Cavani Quartet: Annie Fullard, Mari Sato, Eric Wong and Jia Kim. November 19, 2016 at 02:34 PM · I have a 1969 Cavalazzi. I love it. The older it gets, the better the sound. November 19, 2016 at 06:24 PM · I am so appreciative of David Burgess, Dan Noon, and Davide Sora, all award winning instrument makers and members of this site, for sharing their generous wealth of knowkedge and experience with us here on Violinist.com. November 20, 2016 at 02:55 AM · Jeff, I agree 100 percent! November 20, 2016 at 09:42 AM · It is fantastic that Violinist.com has published this material on luthiers in this competition.